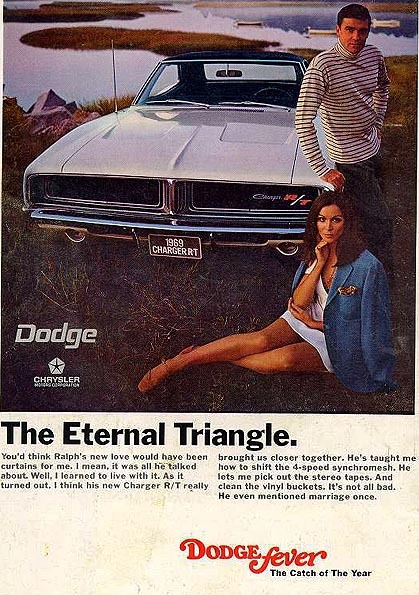 MOPARs come from another era. Motoring dinosaurs. Muscle cars are a unique point in motoring history, from a time before rising fuel prices and oil crisis. Designed at a time when manufactures knew that low cost and high power would sell their cars to a rising youth population. They built them for street racing. 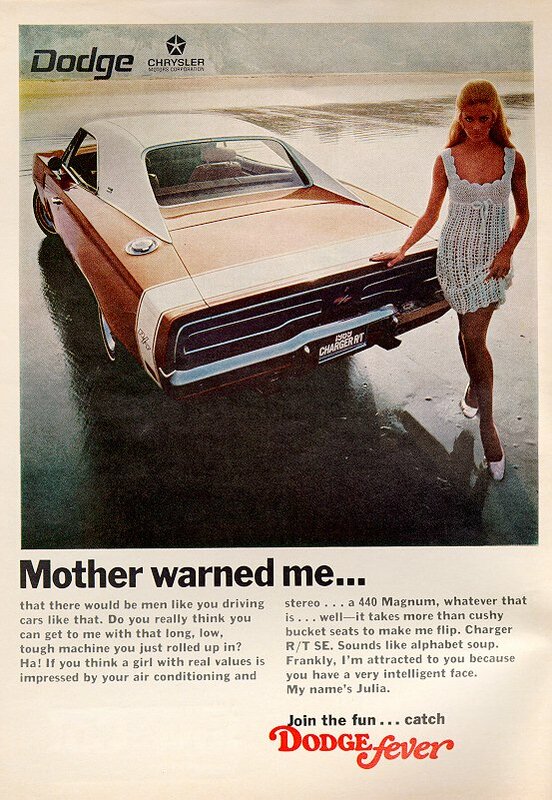 By todays standards, however, it wasn’t only the cars were politically incorrect, the marketing campaigns that promoted them were almost as outrageous as the monsters themselves. However inappropriate and amusing the above ads might be, nothing compares to this utterly brilliant TV commercial from Chrysler, promoting the added benefits of owning a car like the Charger 500. Amazing!